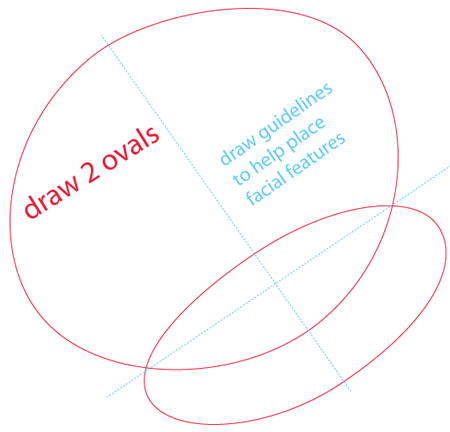 Draw two ovals and then draw the guidelines to help with the placements of facial features. 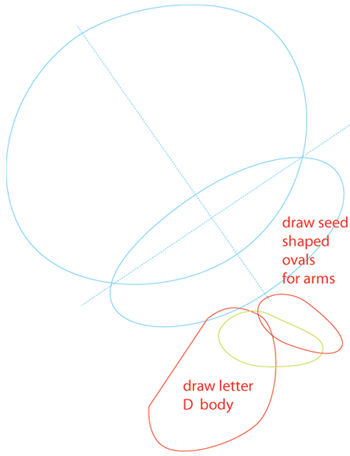 Draw two seed shaped ovals for the arms and a letter ‘D’ shape for the body. Draw an oval with pointier edges like a leaf . 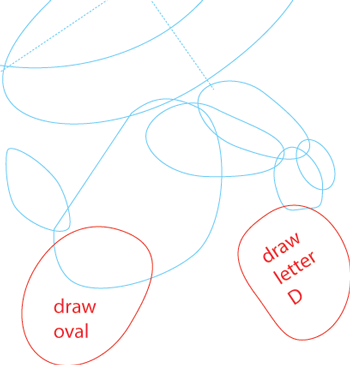 Draw two ovals, the left one get the tip erased away. 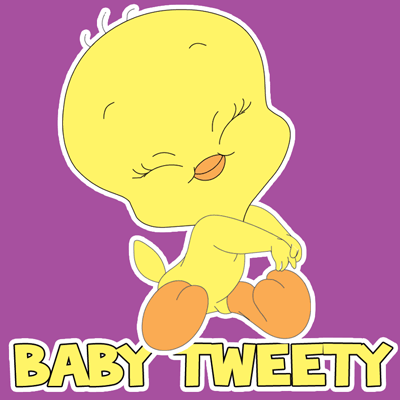 Draw an oval for the left foot and draw a letter ‘D’ shape for the right foot. 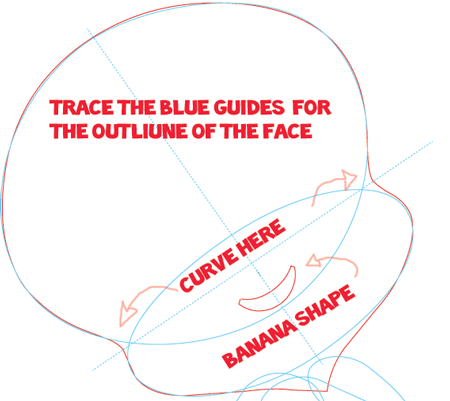 Trace the blue guides for the outline of the face and a banana shape for the bottom beak. 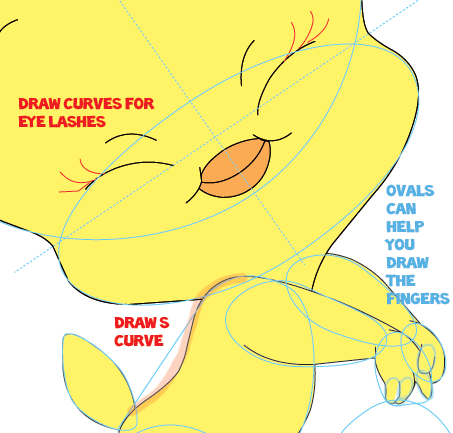 Draw a curved line for each eye, each eye lid and for the brow and cheeks. 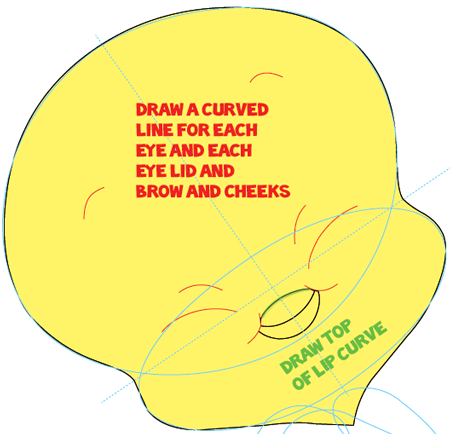 Draw the top of the curved lip. Draw curves for the eye lashes and Draw an ‘S’ shape curve for the back. 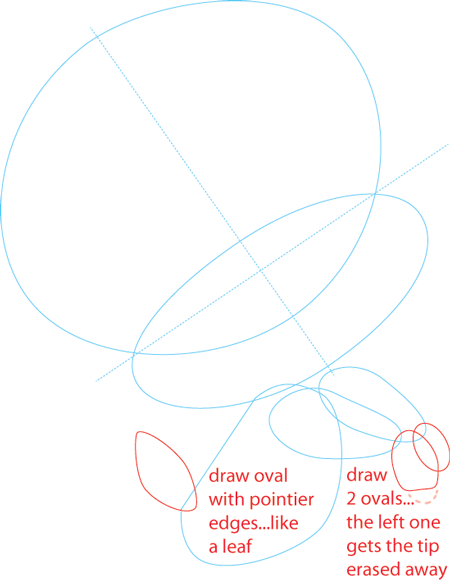 Use ovals to help you draw the fingers. 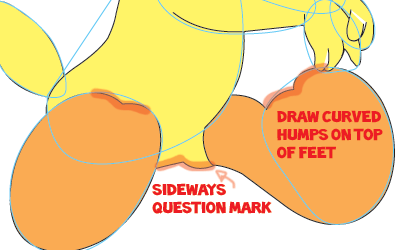 Draw curved humps on up of the feet and a sideways question mark in between the legs. 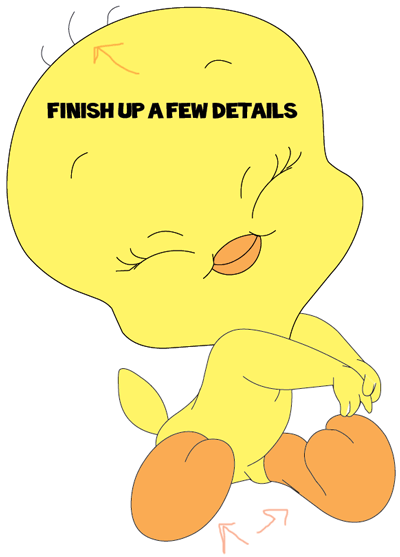 Finish up the final touches like the hair on the head and the toes. 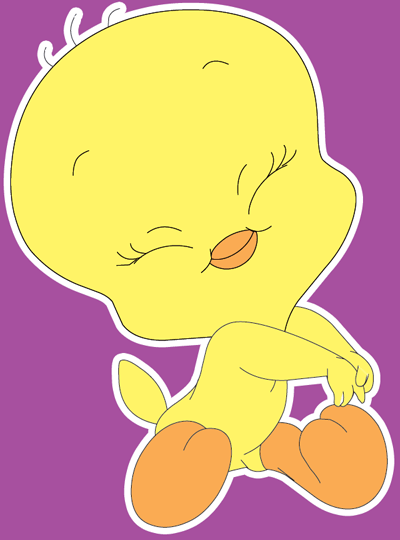 I love twenty bird it is so nice of u to post how to draw it by!